Remodeling your business can be an exhausting and expensive process. This is why the remodeling experts from Albrite Building in Westmont, Illinois are committed to providing our clients with the best remodeling solutions at the most affordable prices. Whether you’re renovating your entire office, updating your warehouse or just need to update the employee break room, we have compiled some remodeling tips to help make your job a little easier. When you remodel anything, whether it’s a small office or a large warehouse, you may need to get a permit from your city or village. Obtaining the proper permits may depend upon a variety of factors, such as if you’re renovating an area that is indoors or outdoors or the type of renovations. Albrite Building can help you understand the permit process and apply for the permit before beginning any work to avoid legal problems down the road. One of the most important parts of any commercial remodeling project is the planning phase. It is key to your project’s success. When developing a renovation plan, it’s important to include a detailed budget broken down into costs for labor and materials, as well as a specific timeline outlining key benchmarks in the construction process. Albrite Building will meet or exceed your expectations. During the construction phase of the project, it’s important to keep an open dialogue going between the contractor, team members, and business owner or management. Keeping the lines of communication open will ensure your commercial remodeling project is completed on time and on budget. Our construction team uses top-notch materials and they always complete the entire job, leaving nothing out. With Albrite Building you will find a team of construction workers that are customer oriented and offer only the best services. From pre-construction to post-construction, we strive to provide our clients with the highest quality contracting services and create customer relationships founded on mutual respect, professionalism and integrity. For more helpful remodeling tips, contact the professionals from Albrite Building today at 630.655.9436. Or to get a free estimate on your next commercial remodeling project, simply fill out our estimate form and a representative will get back to you shortly. 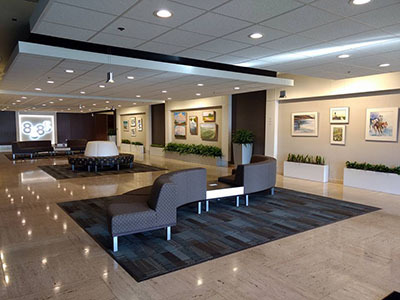 Albrite Building is located at Executive Place I, 777 Oakmont Lane, Suite #50, Westmont, Illinois 60559.